On 14 February 1916 thousands of soldiers from the Liverpool military camp rioted for fourteen hours through the streets of Liverpool and central Sydney. In an effort to regain control the military authorities ordered all soldiers to parade at 11am on 15 February at the Liverpool camp. The majority of soldiers managed to get back to camp and there were only 206 men absent (out of an estimated 3000 soldiers who marched up George Street). Anyone who was not on parade was charged with desertion. In the following weeks at least 279 soldiers  were discharged from the Australian Imperial Force (AIF) for misconduct, drunkenness and being absent without leave or desertion. By the end of the riot on 14 February 37 soldiers had been arrested and seventeen were charged with riotous behaviour. Newspapers of the day reported that there were 116 men in total being held in custody awaiting criminal charges in the State court (Quarter Sessions) and military court. A number of soldiers faced various charges in the New South Wales Quarter Sessions. At Liverpool Court Harold Kingston, James Jones, Frederick Pye, Patrick Murphy, James Johnson, James Dowd and Lionel Smith faced charges that ranged from indecent language, assault, drunk and disorderly and rioting in a public place on 14 February 1916. These men were bound over to keep the peace for up to 12 months with sureties imposed or default gaol time. Walter Smith and Michael Collins also appeared before the Liverpool Court charged with rioting and were fined £3 or one month gaol time. Thomas Winter was charged with damaging a fence at the Commercial Hotel in Liverpool and fined 40 shillings and ordered to pay £1 in damages. Dear Mr Editor, – I am not much of a scholar, so you must not mind if this letter is short. I have to thank “The Mirror” for taking up my case, and securing my release, and I hope now that I shall be allowed to re-join the Light Horse and get to the front. That is where I want to be, with the boys in the trenches. 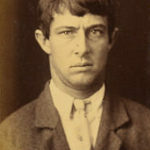 Heaton was discharged with ignominy from the AIF upon his release from gaol. 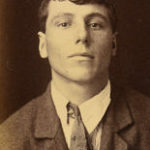 On 30 June 1916 he re-enlisted under another name, William Westacott. He served with the 35th Battalion and did not reveal his true identity until 5 February 1918. The soldiers who were believed to be the ringleaders of the riot faced more serious charges at General Courts Martial trials. The ringleaders on trial were Acting Staff Sergeant Major Tanner and Privates Sutcliffe, Short, McKinnon and Private Madden (with fourteen others). Private John (or Jack) Sutcliffe and Private Frederick Short were charged with joining in a mutiny on 14 February 1916 before a General Court Martial on 27 March 1916. Both soldiers pleaded not guilty. Evidence was presented in the court martial that Sutcliffe was at the head of the columns of soldiers as they marched from Casula Camp to Liverpool while Private Short urged other soldiers to join in the march. Sutcliffe was found guilty and sentenced to three years penal servitude and to be discharged with ignominy from His Majesty’s service. Sutcliffe served his goal time at the State Penitentiary at Long Bay and Goulburn Goal (28/4/1916 to 1/02/1917). He was released by special order on 27 March 1917, exactly one year after the general court martial trial. Private Short was only sixteen or seventeen years old at the time of the mutiny. He had enlisted under a false name and his real name was Frederick Nathaniel James. He was found guilty and sentenced to undergo 60 days detention and to be discharged from His Majesty’s service. 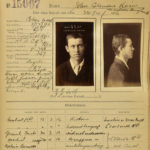 No record could be found of Short or James serving his detention in a New South Wales gaol but he may have served his time at the Darlinghurst Detention Barracks. Private James Andrew McKinnon was charged with joining in a mutiny and being present, did not use his utmost to supress it before a General Court Martial on 18 April 1916. McKinnon pleaded not guilty. Witnesses testified that McKinnon was present on the platform at Central Railway Station from about 3pm until the 10pm riot. He was seen holding the fire hose with Trooper Keefe before Keefe was killed. 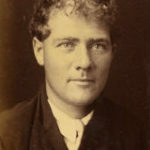 McKinnon claimed that he was at Casula Camp all day and all his witnesses had left for the Front Line. 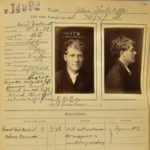 On 2 May 1916 McKinnon was released from custody. Acting Staff Sergeant Major Sydney Ernest Tanner was charged with joining in a mutiny, having failed to use his utmost to suppress a mutiny and being absent without leave from 13-15 February at a General Court Martial in early March 1916. Tanner pleaded not guilty to all charges. 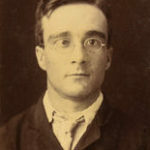 Evidence was presented that Tanner lead the attack on the offices of The Evening News newspaper. Tanner claimed that he had been at home when he heard about the mutiny and he went to assist authorities to calm the soldiers. 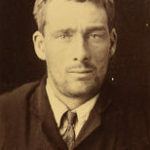 Tanner was found guilty of the first two charges and sentenced to be reduced in the ranks, five years penal servitude and to be discharged with ignominy from His Majesty’s service. On 20 April Tanner’s sentence was confirmed and the five years penal servitude was remitted to three years. Tanner served his time at Goulburn Gaol and was released by special remission on 13 January 1917. As the discharged with ignominy sentence had been remitted in October 1916 Tanner was able to re-enlist on 9 April 1917 and embarked for the Front Line the following month. Privates Cecil Madden, Louis Hanson, James MacGregor, James Kain, Richard Corbett, George Taylor, Maxwell Davis, Richard Lamkin, Robert Walker, Phillip Bruce, Alfred Smith, Donald Sutherland, John Thomas, Herbert Anderson and Thomas Jackson were charged with two offences. The first charge was “that they at Sydney on February 14th 1916 joined in a mutiny by marching with the soldiers of the Australian Imperial Forces who had collectively left Liverpool and Casula camps, respectively in disobedience of orders” and the second charge was being present at that mutiny, they did not use their utmost endeavours to suppress it. The General Court Martial ran for five days from 14-20 March 1916. All soldiers pleaded not guilty. Maxwell Davis and Richard Lamkin were found not guilty due to a lack of evidence and released. Cecil Madden and Richard Corbett were found not guilty and released. 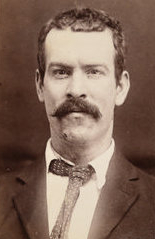 Madden was one of the soldiers found guilty of riot at the Central Police Court and served a three months sentence at the Darlinghurst Detention Barracks. He was discharged from the AIF upon his release on 26 May 1916. He re-enlisted on 13 November 1916 and was killed in action in France in 1918. The other eleven soldiers were found guilty of one of the above charges and faced gaol time and were discharged with ignominy from His Majesty’s service. 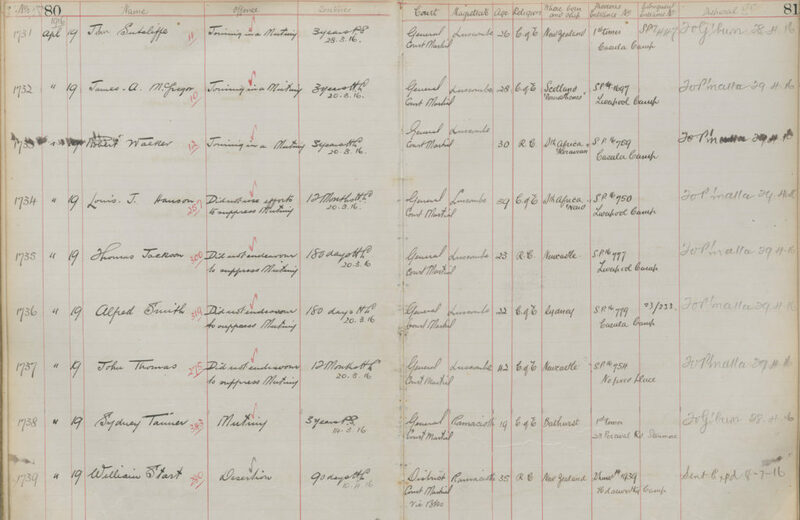 Some of the soldiers who entered the State Penitentiary Entrance Book on 19 April 1916 can be viewed above. 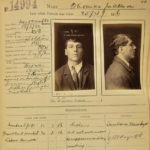 Gaol photograph description sheets for majority of soldiers have also been digitised. The proceedings of general courts martial, including the sentence and discharge with ignominy, were confirmed by the Governor General on 10 April 1916. On 16 October 1916 the Deputy of the Governor General remitted both a portion of the sentences of those still in gaol and the discharge with ignominy. This allowed some of the men to re-enlist. 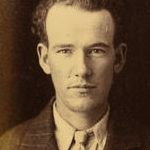 Herbert Anderson first enlisted on 14 October 1915 and was discharged on 20 March following the General Court Martial. He tried to re-enlist on 21 March 1917 using the name Albert Anderson before being discovered and discharged in June 1917. He re-enlisted for a third time using his real name and served out his time, before being finally discharged on 19 May 1919. The Liverpool soldier riots remain the only mass soldier mutiny within the AIF on Australian soil during World War I. For the people of New South Wales the riot led to growing support for the temperance movement. In June 1916 the liquor referendum was passed which introduced six o’clock closing in hotels. National Archives of Australia: A471, 1143, p.8; New South Wales State Archives: Colonial Secretary; NRS 905 Main series of letters received, [5/7437] letter 16/37445. There is a disparity in the figures quoted for the total numbers of soldiers discharged following the riot. Carl Reinecke in his article “The Other Charge of the Light Brigade” claims that 279 soldiers were discharged and 36 soldiers were convicted in state courts. Newspaper articles of the day claimed 1000 soldiers were discharged (“The Camps. 1000 men discharged”, Goulburn Evening Penny Post, 19 Feb 1916, p.2, http://trove.nla.gov.au/newspaper/article/98887267#). NRS 905, [5/7437] letter 16/37445 Soldiers arrested. “The Camps. 1000 men discharged”, Goulburn Evening Penny Post, 19 Feb 1916, p.2, http://trove.nla.gov.au/newspaper/article/98887267#  “Soldiers in Court. Aftermath of a Riot”, Sydney Morning Herald, 24 February 1916, p.9, http://trove.nla.gov.au/newspaper/article/15653375. “The Liverpool Riot. Soldiers Fined”, The Maitland Daily Mercury, 25 Feb 1916, p.7, http://nla.gov.au/nla.news-article123387091. Ibid. “Mutiny Echo”, Sydney Morning Herald, 19 February 1916, p.18, http://trove.nla.gov.au/ndp/del/page/1270563. NSWSA: Clerk of the Peace; NRS 847 Registers of criminal cases tried at Sydney Quarter Sessions (Sydney Deposition books), [5/2985] Case 111. “Quarter Sessions (Before Judge Docker). Sentences”, Sydney Morning Herald, 4 March 1916, p.10, http://trove.nla.gov.au/newspaper/article/15641552. NSWSA: Goulburn Gaol; NRS 2227 Entrance and description books, [7/13504] entry #150. “The Heaton Case”, The Mirror of Australia, 1 April 1916, p.2, http://trove.nla.gov.au/ndp/del/article/104646444. NAA: B2455, HEATON, WR, 2440. “The Liverpool Disturbance”, Newcastle Morning Herald and Miners’ Advocate, 11 March 1916, p.3, http://trove.nla.gov.au/newspaper/article/137103790; “Courts-martial sentences confirmed”, The Sun, 5 April 1916, p.5, http://trove.nla.gov.au/newspaper/article/221355167. Ibid. “The Liverpool Disturbance”, Newcastle Morning Herald and Miners’ Advocate, 11 March 1916, p.3, http://trove.nla.gov.au/newspaper/article/137103790. “Young man’s lapse. Aged father volunteers”, The Sun, 23 March 1916, p. 3, http://trove.nla.gov.au/newspaper/article/221361509; “Court Martial charge against a soldier”, Sydney Morning Herald, 19 April 1916, p.11, http://trove.nla.gov.au/ndp/del/page/1269046. “District Court Martial cases at Victoria Barracks”, The Sun, 10 March 1916, p.5, http://trove.nla.gov.au/newspaper/article/221355602. Ibid. “Charges of mutiny”, Sydney Morning Herald, 28 March 1916, p.7, http://trove.nla.gov.au/newspaper/article/15662580. “Sydney Soldiers’ Riots”, Border Morning Mail and Riverina Times, 1 May 1916, p.3, http://trove.nla.gov.au/ndp/del/page/12129637. NSWSA: State Penitentiary, Long Bay; NRS 2464 Entrance books, [3/8050-51]; NRS 2227 [7/13504]. “Sydney Soldiers’ Riots”, Border Morning Mail and Riverina Times, 1 May 1916, p.3, http://trove.nla.gov.au/ndp/del/page/12129637. Darlinghurst Detention Barracks was a military internment centre that operated on the site of Darlinghurst Gaol that had closed in July 1914. The Australian Department of Defence was loaned the site during World War I and it appears that soldiers facing short term sentences for military offences were imprisoned at the Barracks. Soldiers facing longer sentences were often held in State gaols. Enemy aliens were also interned at the Barracks. (Deborah Beck, Hope in Hell, Sydney, Allen & Unwin, 2005, p.10). “Court Martial charge against a soldier”, Sydney Morning Herald, 19 April 1916, p.11, http://trove.nla.gov.au/ndp/del/page/1269046. “Court Martial”, Sydney Morning Herald, 2 May 1916, p.5, http://trove.nla.gov.au/newspaper/article/15645575. “The Liverpool Riots. Soldiers found guilty”, The Advertiser, 21 April 1916, p.7, http://trove.nla.gov.au/newspaper/article/8714883. NAA: B2455, Tanner, Sidney Edward. NAA: A471, 1143 Madden and 14 others, p.3. “Fifteen Men Charged”, The Sun, 14 March 1916,p.5, http://trove.nla.gov.au/newspaper/article/221361871. NAA:B2455, Madden, CE. NAA: A471, 1143 Madden and 14 others. Ibid. NRS 2464 [3/8050-51]; NRS 2227 [7/13504]; NSWSA: Parramatta Gaol; NRS 2385 Entrance books, [4/6548]. Please note the Entrance book for Parramatta Gaol has pages missing and contains loose pages that are out of order so it was not possible to locate some details relating to when the soldiers were discharged. Garran, Robert Randolph, “Opinion No. 750:Courts-Martial sentence of imprisonment and discharge with ignominy”, http://legalopinions.ags.gov.au/legalopinion/opinion-750?opsearch=true, retrieved 15 March 2016. NAA: B2455, Anderson, HE.